When video footage showing Sergeant Mark Andrews dragging 57-year-old Pamela Somerville by the arm and hurling her into a cell was aired by the media, there was much needed condemnation of the behaviour and attitudes of police officers towards suspects. This time, everyone thought, the inhumane and heavy-handed behaviour of the police would not go unpunished, thanks to the expected, but honourable, actions of another police officer who reported Andrews to seniors. 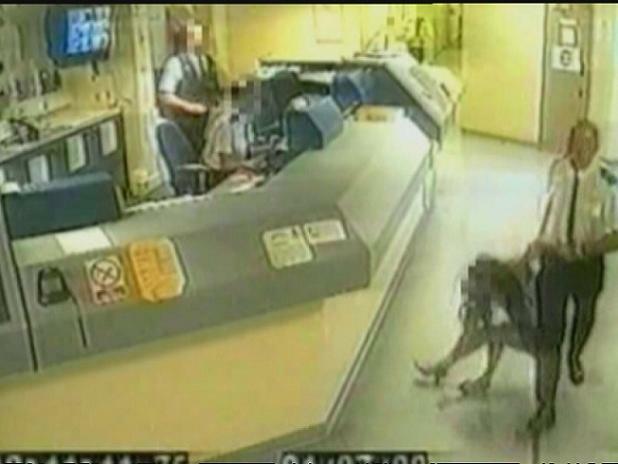 The video footage clearly showed Andrews dragging Somerville by her arm across the custody suite floor and hurling her into a cell. Somerville banged her head and lied unconscious for a short period. She awoke and stood up. Blood poured from her head and onto the floor. She cried for help and banged her cell door until it arrived. She eventually needed stitches to her face because of the violence she faced at the hands of Andrews. Andrews was under suspicion of assaulting by causing Actual Bodily Harm (ABH) and was duly arrested. He was suspended from Wiltshire Constabulary, of course with full pay and benefits, before being charged and convicted for ABH. He was sentenced to six months in prison. His conviction and imprisonment were seen as rare examples of the law being applied to police officers in the same way that any ordinary individual would be processed and dealt with. Moreover, his case proved that the police should be, and were, accountable to the same laws they’re entrusted to uphold. This was a victory for those who had faced injustice at the hands of the police but had never seen it being served. However, the euphoric feeling of justice served wasn’t to last. Andrews filed an appeal and, after serving just six days in prison, the judge allowed him to be unconditionally bailed from prison while this appeal went through the Courts. Despite all the damming video evidence that quite clearly showed the anger and violence that Andrews employed toward Somerville, he was cleared of any criminal wrongdoing and released from prison. Andrews was a now a free man. The appeal judge decided that the injuries sustained by Somerville “were probably caused by her falling to the floor after letting go of the door frame”, rather than Andrews’ attitude and behaviour on the night of the assault. It is deeply regrettable that an individual who was given power and command in his role as a police officer and assigned the responsibility of treating members of the public with respect and virtue, regardless of what crime they were suspected of having committed, would get away with such violent behaviour and actions. The Court’s decision is an insult to due-process, justice and equality of treatment at the behest of the law. It is an insult to those people who think that the police are accountable to the law and answerable for their actions in the same way that ordinary members of the public are. The decision to release this man from prison is, yet again, one more example of police officers being beyond the reach of British law. 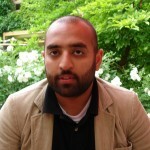 Rizwaan Sabir is a human rights activist and doctoral researcher at the University of Strathclyde. He is researching the role of Islam in British and Scottish government policy, with a special focus on counter-terrorism. In May 2008 he was detained for six days as a suspected member of al-Qaida for being in possession of primary research literature. He was released without charge. His column on counter-terrorism and security appears every other Friday. The more police officers are convicted of committing crimes towards the public, the easier it’ll be to convict them in the future. Its just like Ian Tomlin’s killer, who is being charged with: “”inadvertently causing or contributing” to his death”. Same story across the world it seems, police enforce the law, they don’t abide by it. You seem to sneer at the fact he continued to receive pay whilst awaiting trial. Do you not believe in the principle “innocent until proven guilty”? This comment is indicative of the general anti-police bias which dominates this “article”, and which renders its objectivity obsolete. This is rant not a piece of journalism. His receiving money from his employer and his being “innocent till proven guilty” are two different issues. Stop trying to conflate both issues. It’s a red-herring and any person with any common sense can see through exactly what you’re trying to do , that is – trying to discredit the point in question, that is, a violent man who was given responsibility to “protect and serve the public” decided that it was acceptable to use violence against a helpless 57 year old! His innocence, and indeed any suspected criminals innocence, until proven guilty is something that I support in the strongest possible sense, regardless of what crime an individual has committed. Go check my record before trying to smear me with your ill-informed assumptions. In relation to receiving a full pay, I believe that in an employment sense, the video footage was quite strong in that it showed “gross misconduct” on his behalf. I think with that evidence in mind, his employer should have made a suspension order without wages. His behaviour is obviously unacceptable, which is why his superiors are taking disciplinary action against him. “Anti-police bias” – if you want to interpret the reporting of the increasing instances of police officers seeming to be “above the law” as “anti-police bias” then good luck to you. The issues are not “two different issues” they are one and the same. A man was accused of a crime, had not been found guilty in the eyes of the law, nor by any employment committee. You state however that as, in your personal opinion, his behaviour was “obviously unacceptable” this should have been enough to withhold his pay. Compare this situation to a university PhD student accused of a crime, say for instance terrorism, but had neither faced a trial or university hearing. Do you really think that if the Vice-Chancellor or Head of Security of that University each personally thought his behaviour was in their view “obviously unacceptable” that this would be appropriate grounds for withdrawing all his funding and suspending him? Of course not. There has to due and proper procedure protecting that vital bastion of innocent until proven guilty for everyone. Not just those we personally agree with as individuals. You appear not to be able to look past your obviously latent dislike of the police to see this. Further to this you seem to have completely confused the police disciplinary hearing he is facing with his “superiors are taking disciplinary action against him.” A police disciplinary hearing is not an assumption of wrongdoing by any stretch of the imagination. It is a forum for a committee to hear an officer account for his or her actions and decide whether they met police standards. There is no automatic inference of guilt in convening it. It is a forum at this stage: nothing more, nothing less. You say that the number instances “of police officers seeming to be “above the law” is “increasing”. Have you any figures to support to this or is this blind conjecture fuelled by your individual prejudices? Id suggest you look back to the really bad days of old, circa Operation Countryman or even as recently as pre the McPherson report. The point is that the video footage showed him using violence toward this woman – it couldn’t be clearer and it couldn’t be stronger. Freezing his pay would not have placed his employer’s reaction beyond the realm of due-process because it would have been based on a strong initial evidential basis. I believe that the initial evidence was strong enough to freeze the pay, pending an investigation, whatever its objectives or motives. In a university context, while I won’t get into a debate with you about my case, I will say that if a university found strong evidence, for example, footage of one of their students making a “bomb”, or had some other evidence that most certainly showed something was categorically criminal, for example, use of a rifle, then I would understand why they may want to suspend an individual from their position, with a temporary freeze on stipend payments, pending investigation. Finding evidence of a document, however, is NOT evidence of wrong-doing, and I believe, again, you’re trying to discredit the argument that is being made in this article by conflating issues and using the example of terrorism and the university. Operation Countryman – 400 people lost their jobs, but criminal convictions were brought against approx 13 police officers. That’s a 5.2% conviction rate. Quite incredible, no? McPherson Report: No criminal charges against ANYONE. Blair Peace – No criminal charges against ANYONE. Ian Tomlinson – No criminal charges against ANYONE. Delroy Smellie – No criminal charges against HIM. PC Mark Jones and PC Neil Brown – No charges against THEM.